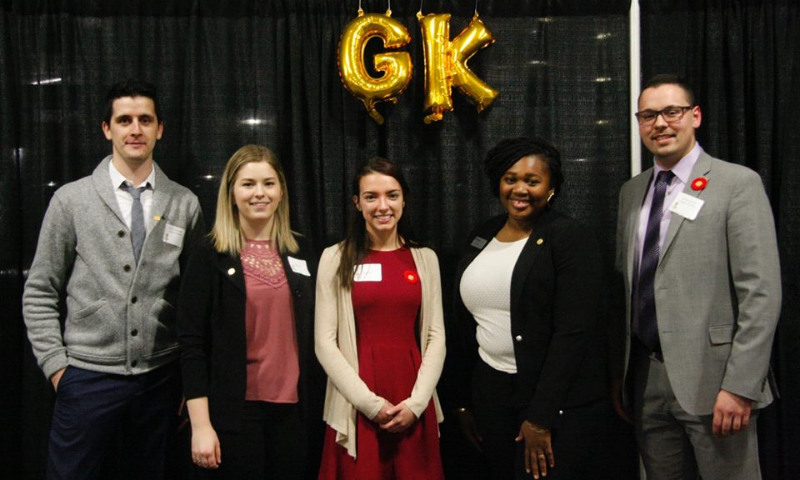 The Golden Key chapter at MacEwan University believes in excellence and strives to provide the best environment possible for guiding our members to achieve in academics, leadership, and service. On November 16, 2010, MacEwan University was chartered the 393rd Golden Key chapter worldwide and the 19th in Canada! 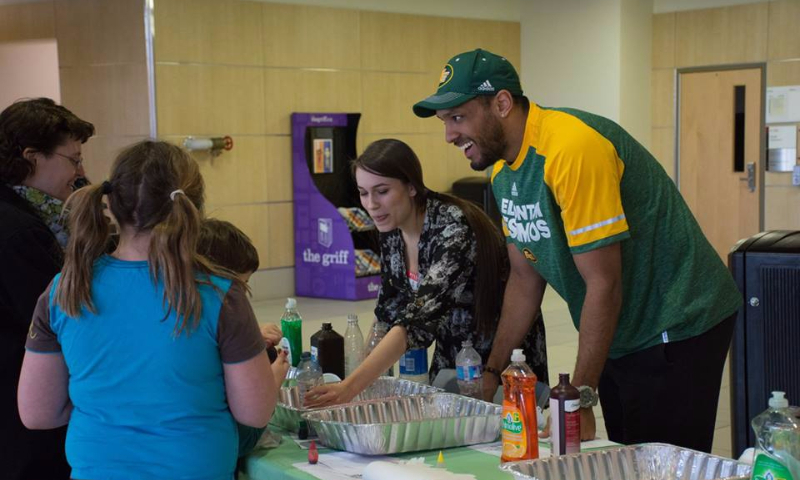 Members focus on community service, networking events, and reaching out to make connections with the local community and the entire university student body. We welcome prospective members who are in the top 15% of their class. 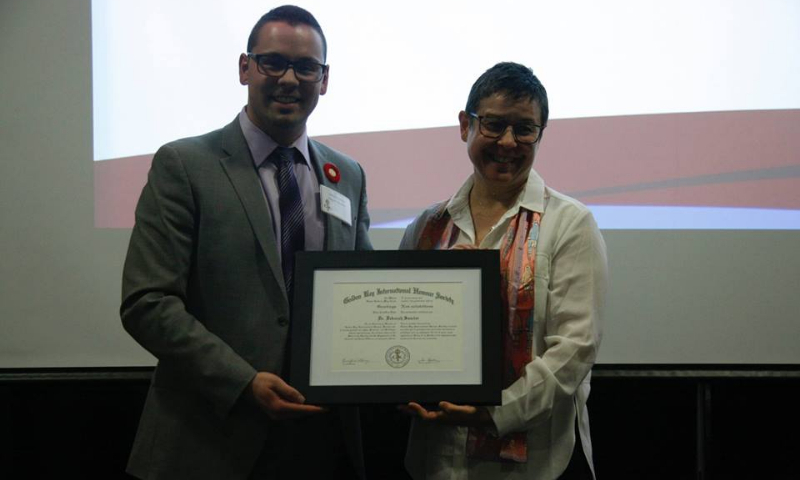 On December 20, 2017, the MacEwan Golden Key Chapter was recognized with the Lois Hole Community Leadership Award! This award honours individuals, organizations, or businesses that have demonstrated a commitment to literacy in Alberta. 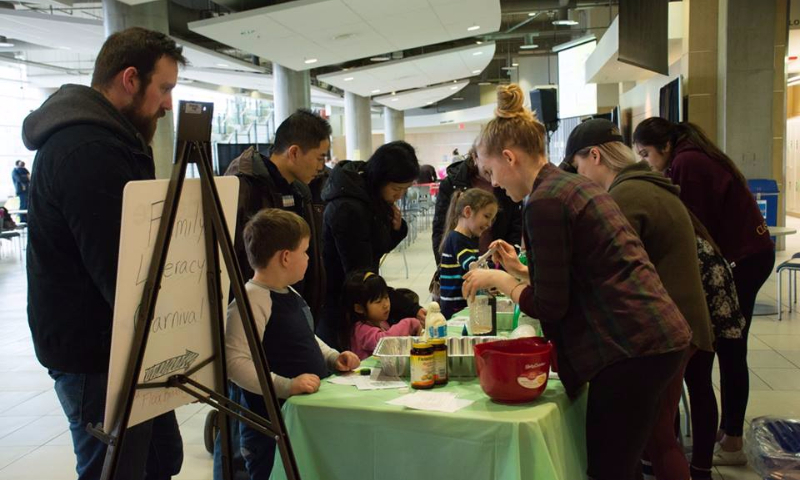 The MacEwan Golden Key Chapter was chosen for their outstanding achievement in hosting an annual Family Literacy Carnival; a FREE 2-hour drop-in event offering fun and interactive literacy events for families with pre-readers and readers of all ages. Families learn about Math, Music, Technology, Physical Activity, and much more! For more information on this year's Family Literacy Carnival, please visit our event page! MacEwan Golden Key students participate in a fundraising book drive organized by Better World Books. The green boxes around campus are places to drop textbooks so they can be reused by other students worldwide who do not have the means to buy textbooks. Many volunteer hours go in to packing each box and pallet of books, so they can be passed on to the next user. This year, the MacEwan Chapter was recognized as the top university in North America with regards to the number of books donated to Better World Books. Currently there are 400 chapters worldwide. It's an amazing accomplishment for our chapter and would not be possible without the support of the MacEwan community. We appreciate the ongoing support and contributions from staff, faculty, the Mstore and many others who take the time to donate their books. The funds received from this book drive goes toward covering the cost of the annual Family Literacy Carnival that our chapter hosts every year on National Family Literacy Day (January 27, 2019).